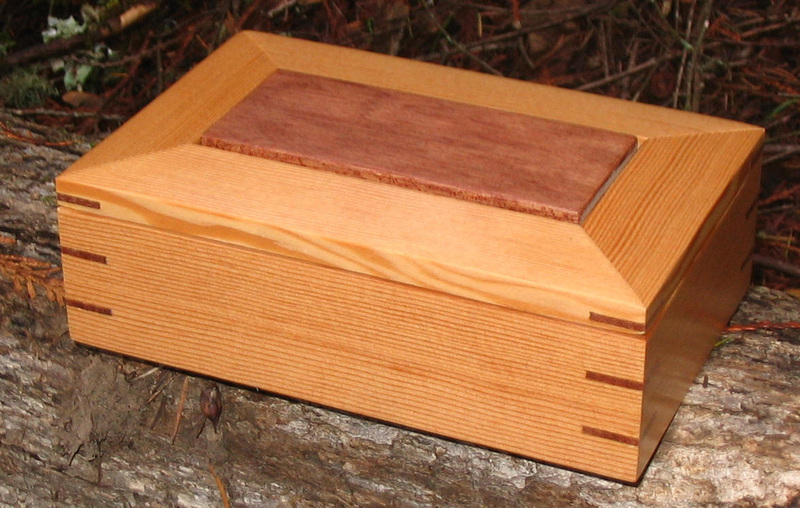 Another trinket box, made with reclaimed old growth fir with mahogany inlay. 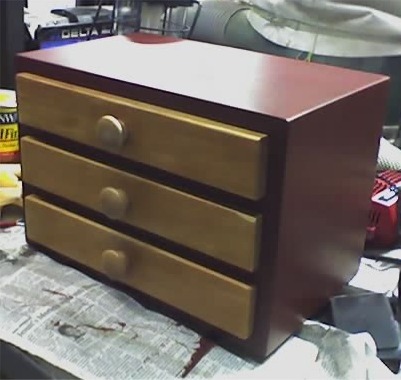 Finished with 3 coats of lacquer. 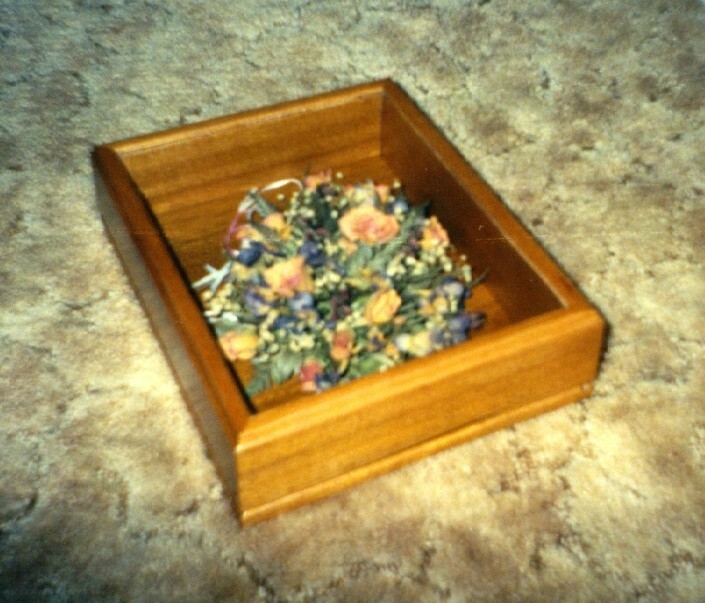 This is one of my very first commissioned projects, built back in 1996. It is made from mahogany with a glass front. A box of boxes. 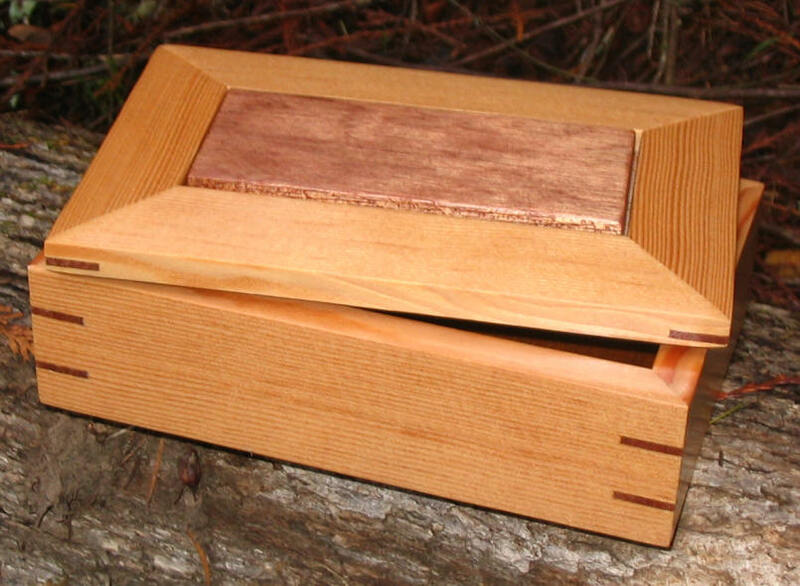 Made from fir and colored with a cranberry stain. 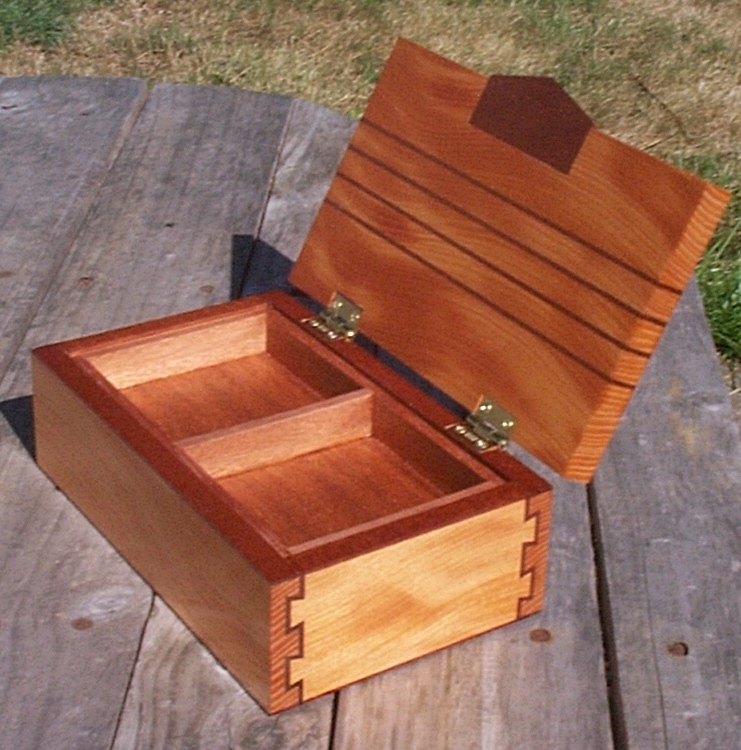 The sides of the box are dovetailed, and the drawers are dovetailed. 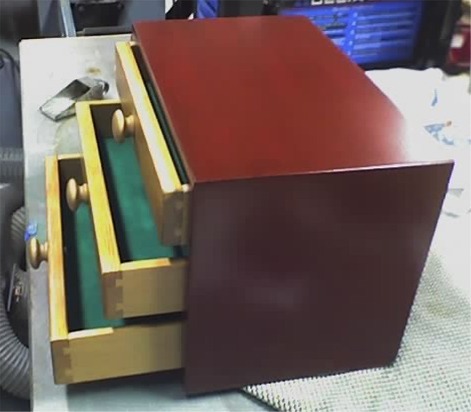 The inside of the drawers are covered in a velvet flocking.